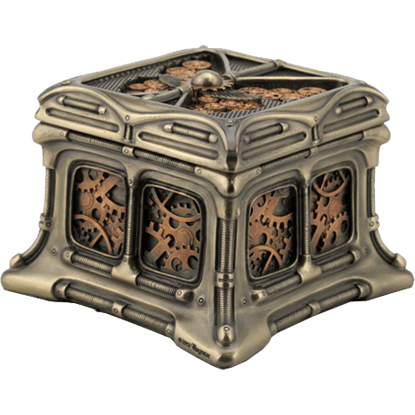 Store your smallest gears, gadgets, and more in our steampunk trinket boxes. Intricately detailed with the likes of steampunk machinery, these gorgeous steampunk home decor pieces are great for keeping jewelry, coins, and small keepsakes tidy and safe. We have steampunk trinket boxes in a variety of styles here, ranging from steampunk skull boxes to heart-shaped steampunk jewelry boxes. Some of our steampunk boxes make gear, gauge, and compass accents their focus, while others take more whimsical forms, such as our steampunk windmill trinket box and our steampunk submarine trinket box. Other steampunk boxes feature dragons as their main attraction, as their lids are decorated with miniature mechanical dragon accents. No matter the kind of steampunk style you like, you are sure to find something to intrigue your Neo Victorian senses within our selection of steampunk trinket boxes here. Pioneers of manned flight often look to nature in their attempts to take to the air. 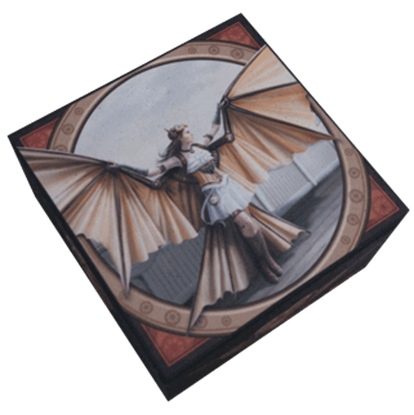 The Aviator Mirrored Trinket Box depicts one such brave inventor as she wears outspread mechanical wings reminiscent of those of a bird or bat. Keep your treasure safe under gear and cog with the Bronze and Copper Steampunk Butterfly Trinket Box. Crafted from polystone, this is a great piece to add some steampunk flair to your home, while storing your small treasures. Even storage containers are gear-powered in a steampunk world! 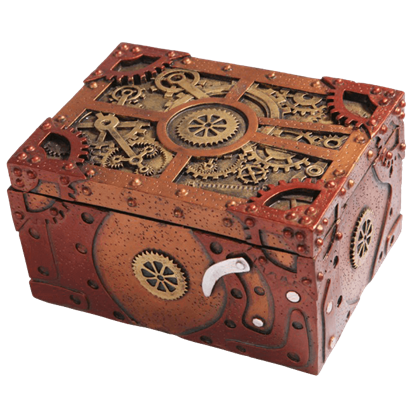 This Clockwork Steampunk Storage Box reveals the aesthetics of a clockwork realm dependent on gears, perfect for storing your pocket watches, pendants, coins, and more. Though society has modernized greatly since the 1800s, the Victorian fascination with death still remains in effect today. 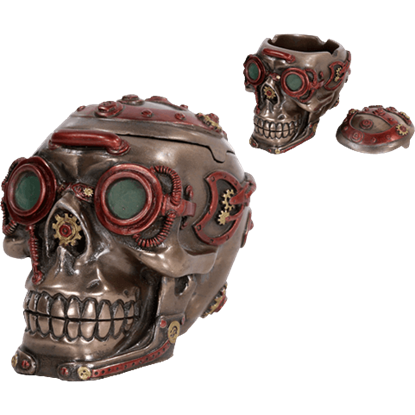 This Cyborg Skull Trinket Box combines modern and historic style to create a striking piece of steampunk decor. 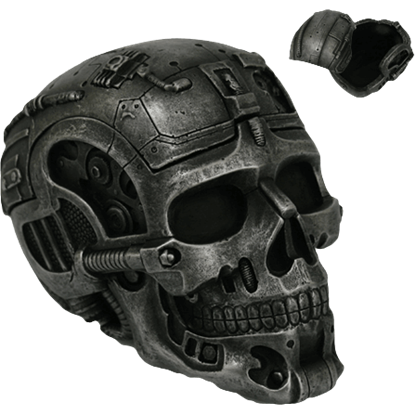 You might find this skull box sitting around the laboratory of some mad scientist or Neo-Victorian inventor! 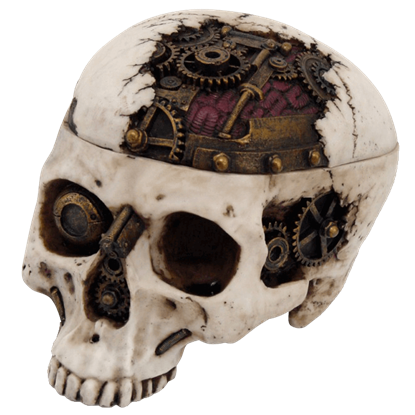 The Dark Steampunk Skull Trinket Box makes an excellent accent for your storing your own odds and ends out of sight. Even the forward press of technology has not eradicated the macabre fascination of death. 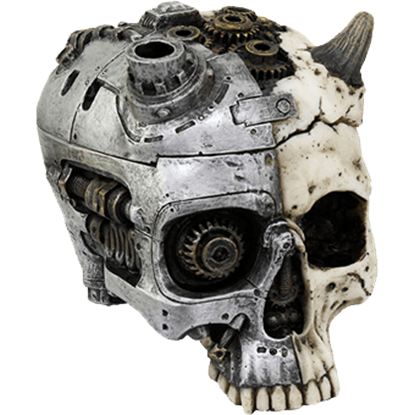 The Horned Steampunk Skull Box depicts a skull with horns, half of the head still bone while the other half shows metal and gears. The Kraken is the legendary sea monster that sailors feared most on the open seas. Legends say it could sink a large ship with its tentacles. 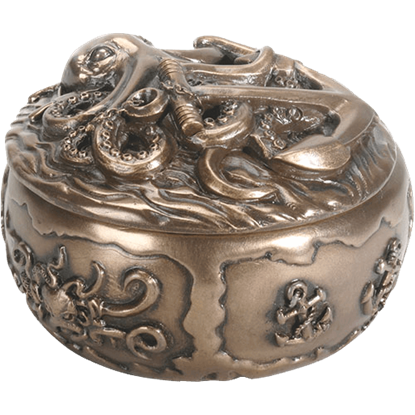 What better guardian for your loose treasure than the monster on the Kraken Trinket Box? 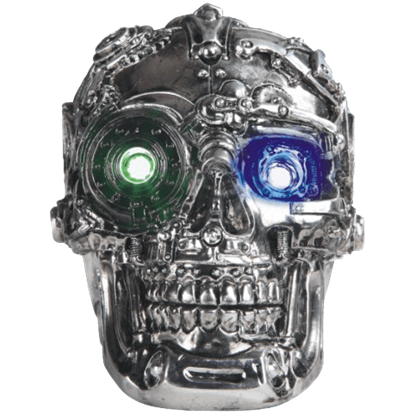 In a hand painted hue reminiscent of chrome, the LED Shiny Steampunk Skull Trinket Box is a fantastic take on the popular alternate history style. Made out of cold cast resin, the eyes of this skull illuminate with LED lights. If you are going to modify something, then you might as well go for broke, right? This Mechanized Steampunk Skull Box features a surreal touch of steampunk style, as well as the potential to be a great place to store your things, too. 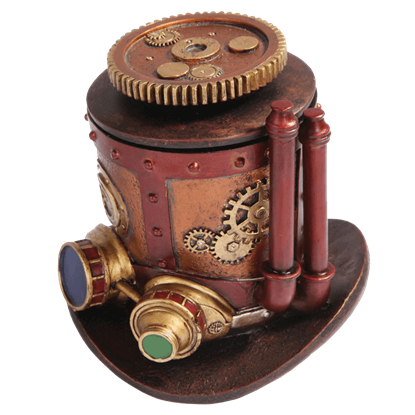 This Mechanized Steampunk Top Hat Box gives new meaning to the term stove pipe hat! Stunning steampunk style transforms this mechanical hat into a storage container par excellence, just waiting for anyone to fill and use it. 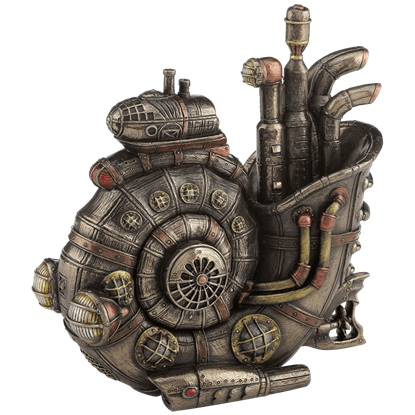 Not to be outdone by any similar items, this bronze Nautilus Steampunk Submarine Trinket Box features an overabundance of nooks and crannies. This makes for a unique, eye-popping trinket box perfect for an aquatic submarine daydream. A notorious escape artist, the octopus has exhibited the ability to use rudimentary tools, fit into small spaces, and play with toys. 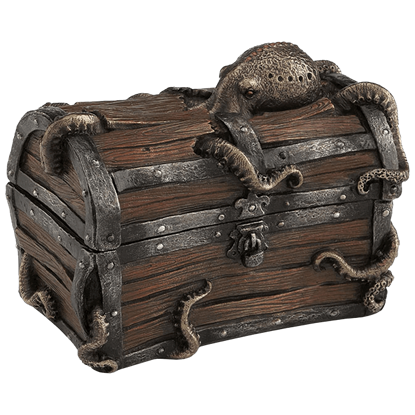 Display your love for these unique creatures with this Octopus in Treasure Chest Trinket Box.